Just like pizza, without the dough and ready in a flash. Admittedly when first making these my hopes were not high. So although not wanting to over-sell them, I was literally blown away when tasting them. 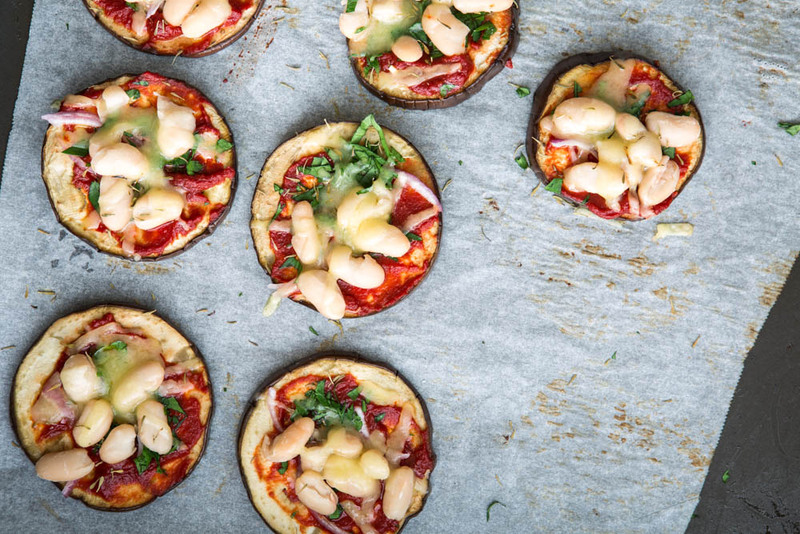 When baked, eggplant does this amazing thing. It softens in all the right places and provides this gorgeous and nourishing earthiness. Sliced into rounds – it’s also a fabulous vessel! Of course you can mix it up with the toppings though remember not to overload (for practicality and cooking purposes). The use of beans, onion and herbs is classic, simple and delicious. 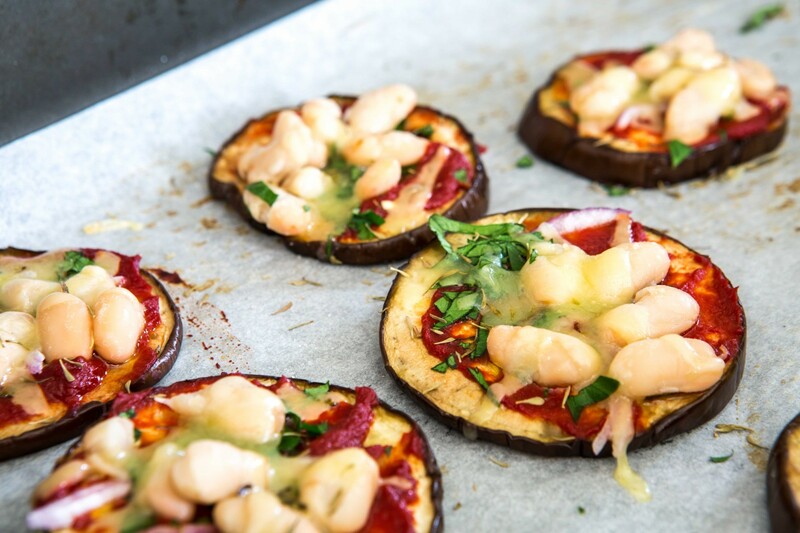 Serve as an entree, appetiser, side or perhaps even main with a nice salad. And as always when buying food in a can, jar or packet, look for an option with no icky additives so in this case with tomato paste you’d want to look for tomatoes and salt only. What do you think? Will you be trying this for yourself? Remember to share with me in the comments below, perhaps your fave toppings and send to a friend as well! 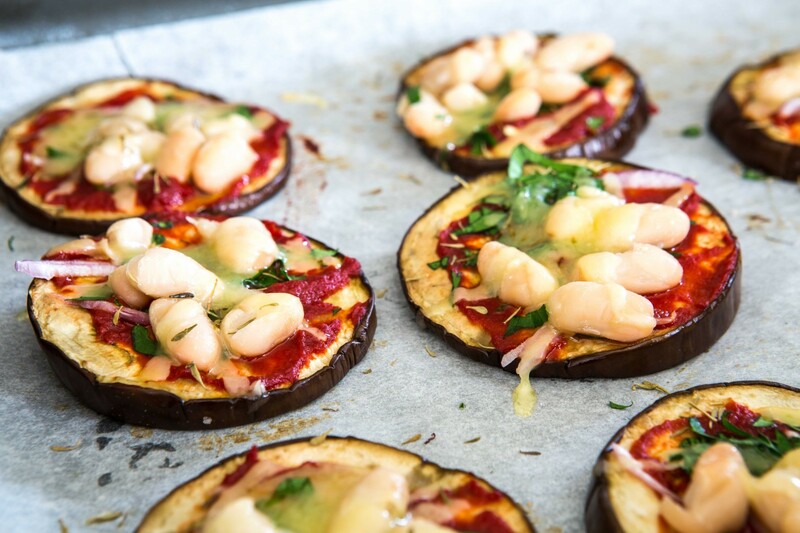 2 Responses to "Eggplant Pizzettas"
Will I be making this one……….oh yes!!!! 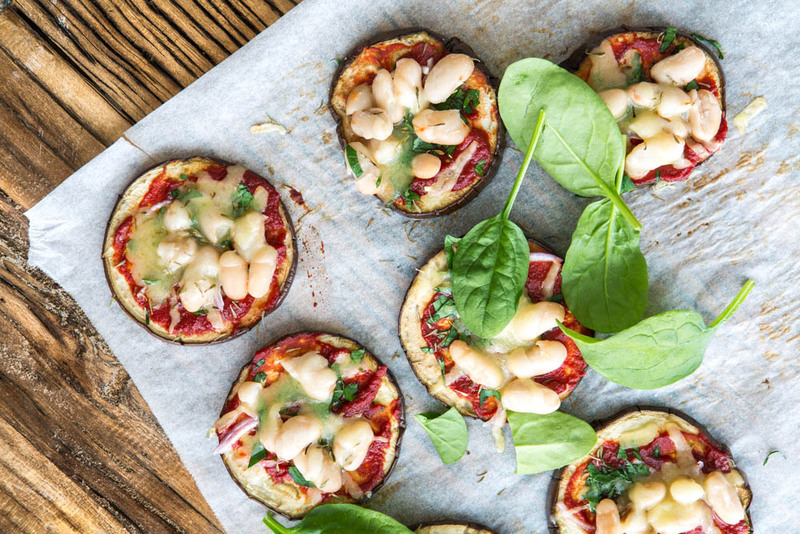 Every week I allow myself one treat meal and this can be whatever I would like whether its healthy or unhealthy but seeming I am on my whole food challenge this week I am totally making these as my treat!!! They look amazing!!! Thank you! My pleasure Candice and I’m thrilled to hear it!